The words “class” and “elegance” are synonymous to the extraordinary and stupendous, Lisa Vanderpump. Not only is Lisa Vanderpump one of the most prolific individuals on this planet, being an actress, television personality, author, and restauranteur, amongst many other things, but she also is a hero to so many adorable pups. Lisa Vanderpump and her husband, Ken Todd have created an incredibly impactful foundation known as the Vanderpump Dogs Foundation. This remarkable foundation has helped save hundreds and hundreds of dogs from all over the world and has helped them get adopted into homes that will give them the love and care that they deserve. The Vanderpump Dogs Foundation has helped many dogs that would have otherwise been abused and hurt and the foundation has brought awareness to help put an end to the barbaric Yulin Dog Meat Festival. In fact, Lisa Vanderpump has made many efforts with her foundation to assist the many loyal and amazing dogs who become the best-friends we can’t live without. She has opened up a Vanderpump Dogs Foundation rescue center, which provides a beautiful atmosphere for dogs, their owners and dog lovers to enjoy. She also worked on an eye-opening documentary focusing heavily on the tragedies brought about by the Yulin Dog Meat Festival. It’s clear to see that Lisa Vanderpump is a life-saver and she, her husband, Ken Todd and many of her closest friends and famous celebrities came out to show their support towards the 2nd Annual Vanderpump Dogs Foundation Gala on November 9, 2017 at the Taglyan Cultural Complex in Los Angeles, California. The extraordinary event was hosted by the one and only, outstanding Mario Lopez. 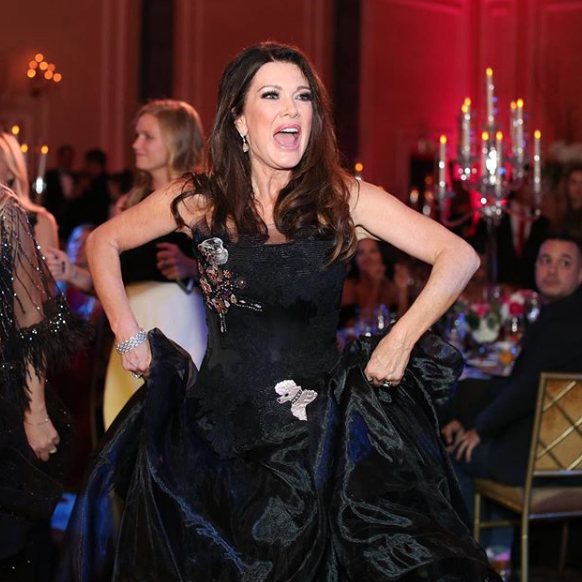 Celebrities including Mohamed Hadid, Pandora Vanderpump, Lance Bass, Michael Turchin, Tom Sandoval, Scheana Marie, Dolores Catania, and many others attended the event. The incredible gala had an auction, a terrific photo-booth, and many more exceptional activities. Everyone looked so stunning as they were dressed to the nines at the event. Lisa Vanderpump, Ken Todd, and all that support the Vanderpump Dogs Foundation has and continues to make such a great difference in the lives of so many dogs. It’s so wonderful to see the efforts made by the Vanderpump family and the Vanderpump Dogs Foundation to make a big impact in this world. I, Alexisjoyvipaccess had the great honor of covering the 2nd annual Vanderpump Dogs Foundation Gala again and this marvelous foundation never fails to leave me in awe with its superb work. Check out some more pictures from the event below and stay tuned on YouTube.com/alexisjoyvipaccess for interviews with some of your favorite celebrities at the event! Follow @LisaVanderpump and @VanderpumpDogs on Twitter and Instagram and visit www.vanderpumpdogs.org for more info on how you can get involved with this excellent foundation! Next Article: Join Gente De Zona And Sofia Reyes For A Free Concert In Las Vegas At Pandora’s “Noche De Musica” On 11/15!